It comes as no surprise to anyone that the housing market is in deep trouble and it appears it will be for some time to come. 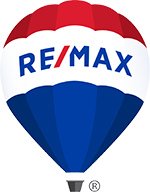 In my many real estate experiences I have been less than impressed with Realtor's ability to do their job efficiently until I met Dina Romero. Whether you want or need to buy or sell a property, I assure you it will not be an easy going experience in today's environment. But Dina is by far the most knowledgeable and tenacious individual I have ever had the pleasure of working with. She managed a very difficult short sale for me and got it done as quickly as possible and very efficiently. I strongly recommend her to anyone as a complete professional who will not only get the job done but will keep you informed through all phases of whatever transaction you are undertaking. Any real estate action today is a scary proposition but Dina takes the scary out and replaces it with confidence and trust. I really can't say enough to complement her talents completely. Anyone who wants to discuss this further with me, contact Dina with your information and I will be happy to contact you. Just a note of grateful thanks for all your grand help and expert advice. Moving went exceedingly well. Money was forwarded just fine. Escrow closed here July 1st. Rita (our agent here) speaks so well of you. Bob is on the road with a loaded truck. Expected tomorrow! All is well-thanks to you and your vast knowledge. Thank you for coming to the house on moving day. I heartily recommend your gracious services. Take care, dear one, and keep well. I hope you sell 50 houses this summer. I didn't get a chance to formally thank you for all your hard work. So thank you! I'm so grateful that you were searching your database that April afternoon... because the window of opportunity was truly golden. We really love the house - so I don't think we'll be selling anytime soon! But we have you in mind for the future, and for our family and friends. Thanks again for your vigilance and diligence! We have enjoyed working with you and look forward to working with you again in the future. We're so happy in our new home and feel so blessed! We really admire you for maintaining a calm, professional manner throughout the entire process. The power of prayer is an amazing thing! Thank you so much for all your help in obtaining this special home - a dream come true. God bless you and your family. We look forward to keeping in touch. Because of all your hard work and good advice, we were able to sell our house at top dollar, allowing us to purchase the home of our dreams. Brandee & I wanted to express to you our deepest thanks for your efforts regarding the recent sale of our home. The way you had a handle on everything made us feel very confident and stress free. Your detailed knowledge of our neighborhood enabled us to sell our home for the best price possible. It was evident to us every step of the way that you are an experienced professional. However, the most impressive thing to us was you personally. Not only are you a top of the line real estate agent, you are a wonderful human being. We enjoyed our dealings with you because you instantly put us at ease from the beginning. It's apparent that you have a concern for the people in the process more so than just simply the bottom line. Dina, your fellow real estate agents should consider themselves honored to call you one of their own. I will recommend you anytime. Brandee and I walk a way from this process pleased with our real estate agent and pleased that we have made a new friend. Thank you for selling our CA home. Your extra effort and patience with us was appreciated! Also, the "Chart House" gift card was very special. There is one restaurant here and we will use it on our anniversary, Dec 16th. I would personally like to extend my thanks and appreciation for a job well done. Everything went smoothly at the close with no hitches. Inside, I was somewhat nervous. Lack of experience does that to people. It was a pleasant experience meeting you. You are a joy to work with. May God always be near you and comfort you. P.S. MN really is beautiful and the sky is clear, and the air fresh. Kim and I want to thank you from the bottom of our hearts for the excellent job you did marketing and selling our home. As you know this was our first home and it meant a great deal to us to not only sell it quickly for a good price, but to sell it to someone who would care for it and be as happy with the home as we had been. You truly came through on all of your promises to expose our home to a large number of potential buyers in a short period of time. Kim and I knew the market was good, but to have as many people come through the house in such a short period of time was amazing. What was more amazing was how fast you were able to secure a quality buyer at a great price, and got us through an amazingly simple escrow. Having been in commercial real estate for many years myself, I know that there are no problem free escrows, only agents who can make them appear problem free. Your cooperation in meeting our schedules and professionalism in this deal is a credit to you and your industry. You never hesitated to bring documents to us based on our availability, and you need to know that we truly appreciate that. We also want to thank you for coaching us on what buyer to select, since we had few different choices between motivated people willing to buy our home. We are convinced they will take care of our home as well as we did. Thank you again, and please feel free to call or use us as a reference any time someone is considering selling their home through you. I will be glad to tell them how great it was to work with you, and what a wonderful job you did. I wanted to take a moment to thank you for a successful closing on the above mentioned property. I enjoyed working with you on the sale of this home. Your efforts, diligence and professionalism in bringing the sale to completion are much appreciated. It is truly a pleasure working with agents of your caliber. I hope we have the opportunity to work together again soon. Please give me a call at your earliest convenience.